Though they are the rulers of the online trade market, each features different seller guidelines, policies, terms, and other conditions. Now, the biggest question that has been floating around most merchants is – which platform generates more sales? Is it Amazon or eBay? Well, the answer is, “it depends” because there are multiple factors involved. Sure, the concept of both the channels is the same – displaying products for the buyers, but talking about sellers in specific, each treats them very differently. For better perceptive, here is a detailed article that will help a seller to comprehend about these two platforms deeper and learn what to expect from each in terms of sales. As of 31 August 2018, Amazon showed incredible growth. It had a trailing-twelve-month revenue of 208.13 billion USD, inclining by 30.8% from its last year’s revenue. On the other hand, eBay’s revenue was only 10.07 billion USD, inclining by 6.6% from its last year’s revenue. As far as the figures of the last 3 years are considered, Amazon definitely has outranked eBay in terms of revenue growth. According to the statista report, eBay and Amazon have a terrific market in the U.S. e-commerce business – and it has been growing for the past 5 years. During 2012, the gross sales of Amazon & eBay’s in the United States online retail sales accounted for 32%. Last year, this grew by 50%. There are hardly a few people in this world that might not have heard of Amazon. Founded in the year 1994, Amazon has drastically grown in the e-commerce world. In fact, it has even surpassed Walmart and has become America’s most-valued retailer. Name a category and Amazon has corresponding products featuring it. Their mission is to become the world’s customer-centric company and help customers find and unveil anything that they want to buy online. With an incredible valuation of $50+ billion and stronger growth, Amazon does not show any signs of dropping down. But in certain ways, they are not even close to eBay’s popularity. Even though it might appear as if Amazon has outshone eBay, both are successful in various ways. With 25+ million global sellers, it is evident that eBay is still one of the major players in the e-commerce business. But which market is the best for sellers? Jotting down some of their basic features can help make this decision easily. Let’s understand the pros and cons of both the platforms first. Amazon FBA or eBay: Which Marketplace Costs More? Every new business considers the fee that will be charged to get them started. Individual plan: Lets you sell less than 40 products for $0.99 per month + other fees for selling. You can find the full detailed amazon fee guide here for more detailed fee structure and types of fees, and try SellerApp free FBA revenue calculator to calculate seller fulfillment fees & profits. It includes an insertion fee for every listing. It has a feature fee if you use sub-titles to attract buyers. It charges a final value fee whenever an item is sold. It involves separate shipping cost for services and goods. 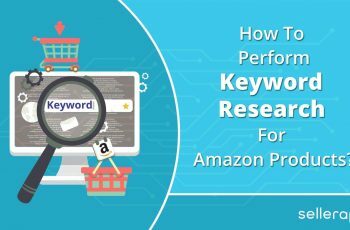 Amazon: As a merchant or a seller, one has to comprehend the concept of Amazon SEO and the way it works. Amazon sellers that offer the highest quality products at competitive prices ultimately win the so-called “Buy Box.” With this, the other key factors include offering various shipping options, free shipping, maintaining inventory/stock, and operating as professional sellers. EBay: Like Amazon, even eBay has its SEO rules. EBay sellers that perform high are awarded with a tagline of “Top Rated Plus” and rank high in their search results. As far as eBay is considered, it takes a customer’s feedback, number of listings, credibility, and sales rate into account. Millions of global buyers spend their time and money on eBay and Amazon every year. So, how to ensure that a customer is getting a product from you and not from your competitor? Well, the important strategy is to optimize the product listings in a way that they appear top in the e-commerce search results. Also, the quality of the product that you sell has to be good enough to help you earn loads of positive reviews. Winner: Tie – because both have insane sales and are equally competitive. Amazon: The fee offered by Amazon might be low when compared to eBay but this alone doesn’t conclude everything. There are other charges, which most sellers tend to overlook initially and realize it only after they go through a few experiences. eBay: It has an extremely bad reputation in the world of e-commerce business. In fact, it has earned a nickname called “Feebay” from Internet bullies for charging too high. But what you hear might not be actually true because, in the end, the fee charged by Amazon is higher than eBay. Globally, the fee charged by Amazon tends to be higher than that of eBay. While eBay charges an FFV (Final Value Fee) of 10%, Amazon charges at least 15%. On the other hand, eBay doesn’t impose any closing fee whereas Amazon charges a closing fee depending on a product that is being sold. Say, for instance, Amazon might have a flat closing fee of $0.46 + $0.06 per lb for wholesale clothing, furniture, etc. Winner: eBay – A seller makes about 5.13% more profits than Amazon. Amazon: An Amazon shopper browses their products and stays on the website for an incredible time length. On an average, this is about 12 – 13 minutes. In addition, the website has a bounce rate of less than 25%, which means that more than 75% of its shoppers look at multiple pages. eBay: On the other hand, eBay also has a similar time duration but only varies slightly. On average, eBay shoppers stay on the website for 11 minutes. In terms of traffic statistics, even well-known websites cannot compete with the number of visitors or shoppers these two major players receive in a day. The most interesting part is that visitors tend to be on these sites with an average time length of 11 – 12 minutes. This explains why sellers list their products in them. Winner: Amazon – A shopper on an average stays for about 12-13 minutes on Amazon. Amazon: One of the best features of Amazon is their user-friendliness, especially with the buying experience. They have a single-click checkout option, making it highly simple for customers to buy a product. Moreover, the process of refunds and returns are straightforward. eBay: Unfortunately, eBay has been long known for a messy buying experience. One not only has to wait until the auction completes (if it is not fixed listing) but also is redirected to PayPal website for the payment process. This often frustrates a lot of customers while purchasing something. Customers or buyers will only be satisfied if the payment feature is right, fast, and trouble-free. If it is time-consuming and unreliable, they are more likely to switch to another website. Winner: Amazon – For making the payment process simple, fast, and easy. Amazon: If a seller opts for Amazon FBA (Fulfilled By Amazon) option, Amazon takes complete responsibility of the customer service problems on his or her behalf. This includes returns, inquiries, and refunds. Also, the seller gets access to their Customer Metrics feature with which the score for customer satisfaction is automatically calculated. eBay: The sellers of eBay also have access to Seller Dashboard through which the seller performance and customer service can be monitored. In addition, they work diligently to make sure that the buyers do not violate their sellers’ protection policies and other buying practices. Winner: eBay – It has better protection for sellers than Amazon. Amazon: Amazon is well known for its “Lightning Deals,“ which lets sellers set discounts for their products for a maximum duration of 6 hours. This facility drives sales if the timing and price are right. Another way to make customers return and buy more frequently is to offer either a coupon code or a heavy discount. EBay: Figuring out and running a product promotion or a sale for a basic eBay product listing is not that easy. In fact, it used to be a very difficult back then. This is where Amazon wins it. The one common and the most significant feature that lets customers stay back on an e-commerce website is its deals/discounts or astounding coupon codes. Though eBay has launched the concept of in-site advertising, sellers have found Amazon’s in-site promotions better. Winner: Amazon – Gives opportunities to generate sales by creating promotions. Amazon: The design and quality of Amazon cannot is unbeatable. Another vital element for building trust is through seller ratings, which again, Amazon guarantees it. eBay: Unfortunately, eBay gives the feel of a garage sale with its product listings. It neither does look attractive nor does it feel appealing when compared to Amazon. Design truly plays a key role in earning the trust of both sellers and customers. Even though both eBay and Amazon have created a trusted rating system, a lot of them have better and easy experiences with Amazon. Unquestionably, better trust generates more sales. Winner: Amazon – Has a friendly system for both sellers and customers. Amazon: Amazon sellers should use Amazon Payments in order to accept payments. That’s it. Further, Amazon collects the payments and deposits them into your bank account two times a month without additional fees required. They take all the credit card risks, which PayPal on the other hand, doesn’t. 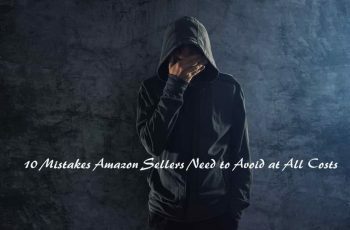 Other benefits for Amazon sellers is that they don’t have to send payment reminders, invoices, or track those unpaid items..
eBay: Sellers on eBay accept PayPal. But credit cards are accepted only if they have a merchant account. EBay’s payment system involves more work, time, and cost to manage the payments as a seller. Payment modes should be of less hassle to sellers. 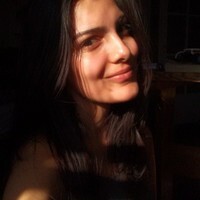 Unless they are easy and straightforward to work on, they tend to be overwhelming. However, with better and simple payment features, Amazon takes a point for this. Winner: Amazon – Has enhanced and straightforward payment methods. Amazon: Its superior guarantee system makes the buyers feel more secured and shielded when buying an item. If a seller receives many negative feedbacks, his or her account might be suspended. Also, getting a feedback removed is much more flexible and easy than eBay. eBay: Though it gives more weightage to feedbacks than Amazon, it becomes a disadvantage for buyers, as it pushes those negative comments down, making it vulnerable for potential buyers. eBay checks and makes the negative seller’s feedback scores less noticeable to shoppers. It rather lets buyers make their choices themselves than coming up with a conclusion through user feedbacks. 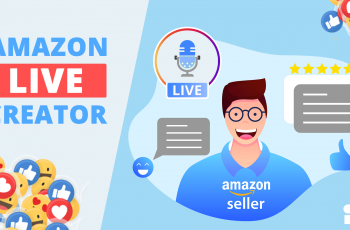 Both Amazon and eBay feature their own feedback systems, permitting sellers as well as buyers to write their impression regarding a transaction. This means that both marketplaces give a proper place for shoppers to leave their comments – negative and positive for sellers. Winner: Amazon – Helps buyers in making the right buying decision. Amazon: As the name implies, FBA is a concept launched and implemented by Amazon for years now. There are many advantages of using it. 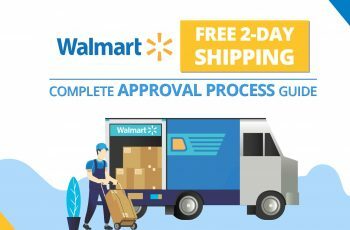 It offers Amazon Prime feature, where buyers can obtain free second-day air shipping for all the qualifying orders. The fulfillment service comes at a low cost and there is very less work involved for sellers. eBay: It doesn’t have any such option. Years ago, eBay tried implementing the concept of warehouses for its sellers where they could send all their products to, and in turn, the warehouse would drop-ship those items to their customers. However, this idea did not work. Later, they tried buying a few warehouses. Even this option turned out to be a failure. Hence, after two years, eBay dropped such ideas completely and sold all its warehouses. Winner: Amazon – The FBA model is certainly a huge hit. 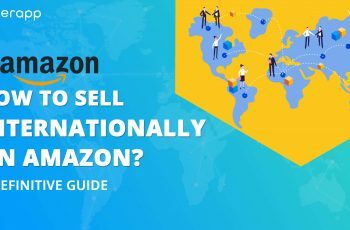 Who Should Be Selling On Amazon? Amazon’s business model is efficient and a seller can begin selling the items in a flash. 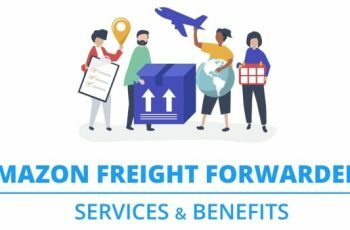 The option of FBA (Fulfilled by Amazon) makes it simpler for logistics. Within a short time, the products are shown to a bigger audience and this is something one will have a hard time going through. Besides all these, selling products for higher price and at high volumes is pretty easy on Amazon. 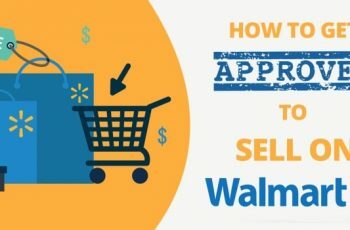 If following stringent requirements isn’t a big deal, as long as a seller keeps generating strong sales, then he or she should prefer Amazon than eBay. Who Should Be Selling On eBay? eBay puts an extra power in a seller’s advantage and that’s one of its biggest perks. A seller has all the rights to create product listings, set up the shipping charges, and mention the return policies. In addition, the fee is lower and products can be offered for better competitive prices. If a seller likes to have freedom with the way his or her products are to be listed and has the rights to set his or her own product rules, then eBay is the ideal choice. Selling the products on both the e-commerce platforms will create a few challenges. It is worth for most merchants. Apparently, this option will have some downsides but be acquainted with their rules. The probabilities of succeeding on both are high. It will make a big difference to the business and sales. Final Verdict: Amazon or eBay? In the battle of selling on Amazon vs. eBay, it concludes that Amazon wins, as it has better features and other benefits over eBay. For beginners, Amazon does a remarkable job of helping sellers to increase their product sales. Unlike PayPal and eBay, Amazon’s one-click checkout has made a huge difference. Also, with the facility of “Fulfilled by Amazon,” sellers find it extremely easy to have their products shipped directly from their inventories to Amazon’s warehouses. However, if sellers desire to customize their product listings, eBay is the answer. 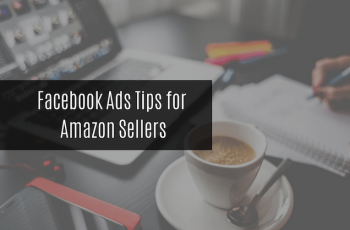 With the feature to post colorful ads within the listing, the concept makes it highly appealing to the customers and generates more sales than the neutral listings of Amazon. Yes, eBay offers freedom and is cheaper but this where the actual line is. Think from a customer’s perspective. How will he or she want his or her shopping experience to be? Here, Amazon wins it. Since Amazon boasts 300+ million active users (EBay’s is 170 million), the amount of product exposure is massive on Amazon. And don’t forget about those dedicated Prime members! Keep in mind that what actually works for a business on eBay may not work the same on Amazon and vice versa. Both the platforms are popular and unbeaten in different ways. Whether a seller sells through Amazon or eBay, the strategy here is to first research the market for the product at both these platforms and the kind of outcome one receives. Another tip is to try selling the products on both the platforms to research and see which works better. At times, both can generate sales tremendously. Therefore, the key is to experiment. well written article for sellers. Thanks for the post.